For cruising fun when you are not in your home port, try renting a boat! You can enjoy fishing, sailing, and time on the water even when you are far from home and your own craft. Probably one of the best things about boat rentals is that they are international. If you are a world traveler, you don’t have to charter a boat with a captain – you can rent one, and possibly have a crew that comes with it. There are several websites that offer boat rentals, some offering peer to peer boat owner rental services. Here are some tips for renting a boat and making your vacation complete. 1. Decide if you want a captain and crew or just the boat. Many rental services offer boats with captain and crew. They are membership based, so if you join up you can browse their rentals and crews. 2. Insurance is a good idea, and is available on a daily basis from boat rental companies. Daily insurance premiums start at around $27 a day, and provide peace of mind. Many owners require it. 3. Make sure you know the rules of the rental agreement. Read the contract carefully, especially if you are far from home. 4. When you make your request, tell the owner about your specific experience with the type of boat you are requesting. You’ll want to let them know about your general boating experience as well. It helps to include certifications or classes that you have completed and the types of boats that you have rented in the past. 5. Owners want to know the specific details of your trip. You’ll be expected toprovide an itinerary, and the ports you are visiting in your Float Plan. You will also be asked if you have a backup should you become unable to handle the boat, and the number of people in your party. 7. If you are renting your boat, make sure that your insurance covers chartering or renting your craft. 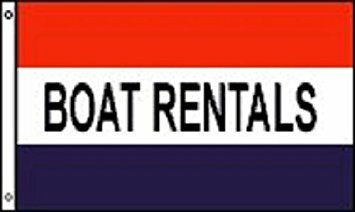 Many boat rental listing services will not let you list the boat for rent if it is not covered, but they often have partnerships with insurance companies offering policies that cover rentals. 8. Screen your potential renters. In addition to collecting information from them in their application, you may want to check out their social media profiles, and definitely ask about their level of experience andif they have passed training or safety courses. Some boat owners require a deposit, or take the renter out themselves for a brief trip, just to see how they handle the boat and get to know them. Renting a boat is also a great way to gain experience with different craft, especially if you are considering a new purchase or upgrade. Have fun and be safe!